Dr Jasmina Fejzic (Yas-meenah Fey-zich) is a registered pharmacist with a community and hospital pharmacy background. Jasmina has been teaching in Australian higher education since 2001, at the University of Queensland (2001-2007), Queensland University of Technology (2007-2009), and Griffith University (2009-2015) where she developed and implemented BPharm and MPharm programs. She has taught as a community and hospital pharmacy preceptor, tutor, simulated learning facilitator, and lecturer, creating, teaching, and coordinating 14 undergraduate and postgraduate Pharmacy courses. Jasmina studied Literature at the University of Sarajevo’s Faculty of Philosophy from 1990 until 1992 when her studies were interrupted by the Bosnian War. She relocated to Australia (1996) and completed both her BPharm (Hons Class I) (2000) and a PhD in Pharmacy at the University of Queensland (2007). In addition to her primary commitment to Pharmacy Practice Research, Jasmina is passionate about teaching and remains a curious learner. Her Educational Research in Pharmacy aims to help her students to understand the process and joy of learning, building their skills for effective personal and professional development throughout their lifetime. As an active researcher, Jasmina has supervised to completion several masters and doctoral students. The research teams of which she was a member received competitively funded grants totalling close to AU$3 million from the Department of Health, and other healthcare and higher education bodies. Jasmina returned to the UQ School of Pharmacy in 2015, motivated by the School’s commitment to the high quality teaching and practice research nexus. Teaching: Jasmina teaches across the BPharm(Hons) Program and is coordinating the Course ‘Quality Use of Medicines A2’ (PHRM2012). Research: Jasmina is focused on two areas of research, Pharmacy Practice and Pharmacy Education. She aims to study and optimise how we practise, teach and learn Pharmacy. Her research is aligned with the biopsychosocial model and she studies narratives around perceptions, beliefs, and behaviours, and how they can influence the quality of outcomes. She uses quantitative and qualitative techniques, with the latter supporting deep and flexible engagement that yields rich data about and understanding of social and cultural aspects not ascertainable through quantitative approaches. She is committed to scientific understanding that is informed by different ways of knowing. 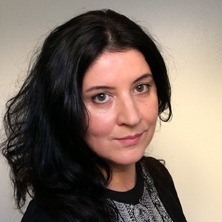 For a brief overview of Jasmina's research interests - please either see below (if viewing this on the 'UQ Researchers' page), or click 'View researcher profile' in the top left corner of Jasmina's School profile page to view her 'UQ researchers' page. Saleem, Ahsan, Steadman, Kathryn J. and Fejzic, Jasmina (2018) Utilisation of healthcare services and medicines by Pakistani migrants residing in high income countries: a systematic review and thematic synthesis. Journal of Immigrant and Minority Health, . MacDonald, Lauren, Fejzic, Jasmina and Cottrell, W. Neil (2018) Pharmacy students’ understanding and perceptions around medication adherence. Pharmacy Education, 18 1: 41-49. Fejzic, Jasmina and Barker, Michelle (2015) ‘The readiness is all’ - Australian pharmacists and pharmacy students concur with shakespeare on work readiness. Pharmacy Education, 15 1: 76-82. Fejzic, Jasmina, Henderson, Amanda, Smith, Nerida A. and Mey, Amary (2013) Community pharmacy experiential placement: comparison of preceptor and student perspectives in an Australian postgraduate pharmacy programme. Pharmacy Education, 13 1: 15-21. Bajramovic, J. and Tett, S. E (2000) Problems of pharmacy communication in multicultural Australia. Australian Pharmacist, 19 7: 430-434. Saleem, Ahsan, Fejzic, Jasmina and Steadman, Kathryn (2017). Healthcare and pharmacy service provision for Pakistani migrants residing in developed countries: a systematic review. In: APSA-ASCEPT Joint Scientific Meeting 2017, Brisbane, QLD, Australia, (). 5-8 December 2017. Beyond the ‘ivory tower’ of research: which research results are useful to busy pharmacists? Fejzic, Jasmina, Cottrell, Neil and Barker, Michelle (2016). Beyond the ‘ivory tower’ of research: which research results are useful to busy pharmacists?. In: PSA16 Conference, Sydney, Australia, (). 29-31 July 2016. What are our community pharmacists' 'hopes' and 'fears' for pharmacy placements? Fejzic, Jasmina and Barker, Michelle (2016). What are our community pharmacists' 'hopes' and 'fears' for pharmacy placements?. In: PSA16 Conference, Sydney, Australia, (). 29-31 July 2016. Fejzic, Jasmina and Daly, Amanda (2014). Global citizens: leaders of tomorrow. In: Student Leadership Conference 2014 – ‘GU20’, Brisbane, Australia, (). 30 September 2014. Fejzic, Jasmina, Barker, Michelle, Hills, Ruth and Priddle, Alannah (2013). Saying ‘no’ professionally: simulated Learning approaches to teach Pharmacy students to refuse patients’ inappropriate requests. In: Monash Pharmacy Education Symposium 2013 – Teaching for Learning, Prato, Italy, (). 8-10 July 2013. Fejzic, Jasmina, Barker, Michelle, Hills, Ruth and Priddle, Alannah (2013). Stimulating simulations: learning outcomes and lessons learnt about simulated learning modules addressing common pharmacy practice interactions. In: Monash Pharmacy Education Symposium 2013 – Teaching for Learning, Prato, Italy, (). 8-10 July 2013. May, Amary, Kelly, Fiona, Knox, Kathy, Fejzic, Jasmina, Hattingh, Laetitia, McConnell, Denise, Fowler, Jane, Davey, Andrew and Wheeler, Amanda (2012). Community pharmacy-consumer/carer relationships are key in mental health care. In: Joint ASCEPT-APSA (Australasian Pharmaceutical Science Association) Conference, Sydney, Australia, (). 2-5 December 2012. What really makes students ‘work ready’ – What are Pharmacy students’ and their preceptors’ considerations? Fejzic, Jasmina and Barker, Michelle (2012). What really makes students ‘work ready’ – What are Pharmacy students’ and their preceptors’ considerations?. In: Joint ASCEPT-APSA (Australasian Pharmaceutical Science Association) Conference, Sydney, Australia, (). 2-5 December 2012. Fejzic, Jasmina, Emmerton, Lynne and Tett, Susan (2007). Concordance in conventional and complementary paradigms: a problem-detection study. In: Australasian Pharmaceutical Science Association (APSA) Annual Meeting 2007, Sydney, Australia, (). 8-11 December 2007. Bajramovic Fejzic, J., Emmerton, L. M. and Tett, S. E. (2004). Perceptions of concordance with medicines: Focus groups and semi-structured interviews conducted with consumers, pharmacists and general practitioners. In: Maria Cordina, Social Pharmacy: Exploring theoretical and cultural perspectives. 13th International Social Pharmacy Workshop, Malta, (64-64). 19-23 July, 2004. Bajramovic Fejzic, Jasmina, Emmerton, Lynne and Tett, Susan (2004). Perceptions of concordance with medicines: focus groups and semi-structured interviews conducted with consumers, pharmacists and general practitioners. In: 13th International Social Pharmacy Workshop, Valetta, Malta, (). 19-23 July 2004. Bajramovic, Jasmina and Tett, Susan (2002). Health issues in people from a non-English speaking background (NESB). In: Refugee Health Summit, Brisbane, Australia, (). October 2002. Bajramovic, J. and Tett, S. E. (2000). Improving quality use of medicines in multicultural Australia: Medication reviews in people from the former Yugoslavia. In: M. Smith, R. Prankerd and S. Duffull, Proceedings of the APSA 2000 Conference. APSA 2000 Annual Conference, Newcastle, (73). 6-8 Dec. 2000. Bajramovic, Jasmina and Tett, Susan (2000). Improving quality use of medicines in multicultural Australia: medication reviews in people from the former Yugoslavia. In: Australasian Pharmaceutical Science Association (APSA) Annual Conference 2000, Newcastle, NSW, Australia, (). 6-8 December 2000. Fejzic, Jasmina (2007). Conventional medicine and complementary and alternative medicine (CAM) – Concordance and perspectives of consumers, health professionals and CAM practitioners PhD Thesis, School of Pharmacy, University of Queensland.